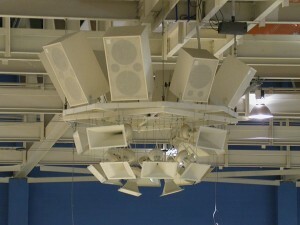 Bose is among the top brands of commercial speakers. Sound quality and longevity make companies like this stand out and so many types of rooms and buildings can benefit from having a respectable sound system. Courtrooms, theaters, auditoriums and outdoor stadiums are just a few examples. 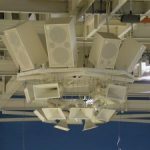 If you’re in the market for a new commercial speaker system let’s go through some of the speakers with the best reviews to make your decision just a little bit easier. Bose commercial equipment is designed especially for large venues. In fact, in 1988, Bose became the official Olympic sound system supplier. One of the largest names in the business, this company also worked with the US military as well as the Staples Center in L.A. Audiences that require loud, expansive sound are a the perfect match for a Bose system. Choosing between these top speaker products could be difficult. So many have great reviews online and have made an impact on the sound industry one way or another. You can’t go wrong with many brands; the trick is just finding the exact right one for you, your organization and venue.